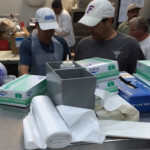 Outreach & Excellence | Taylor Engineering, Inc.
Taylor Engineering encourages, supports, and rewards staff membership and active involvement in many local community, national, and international organizations committed to the community and diversity. 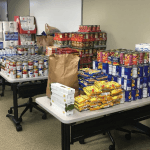 This November Taylor Engineering started a new tradition, “Can”struction! Each team had to plan and construct something out of non-perishables and personal hygiene products.All proceeds were donated to Hubbard House of Jacksonville.More photos of our creations here! 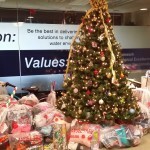 The Salvation Army Angel Tree program helps children in need during the holidays. The Angel donation includes at least one full outfit and a gift that the child has asked for. The Sulzbacher Center is located in downtown Jacksonville and benefits homeless and at-risk women, children, and men.Through various meals, shelter, and life skills programs, Sulzbacher Center seeks to empower Jacksonville’s homeless population. 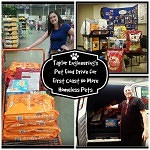 Donating time is just one way Taylor Engineering gives back to the community. Through low cost veterinary services available to the community to various pet programs, No More Homeless Pets benefits cats and dogs in need throughout northeast Florida. Taylor Engineering is proud to donate to such a worthy cause. Socks are one of the most overlooked and needed items for the homeless community. 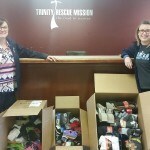 In February, Taylor Engineering was able to donate 526 pairs of socks, in all sizes, to the Trinity Rescue Mission in Jacksonville, Florida. The donation came right on time for their first annual “Search and Rescue”, where they went out into the community and distributed much needed supplies. Through its participation with the Florida Engineering Society (FES), Taylor Engineering supports community outreach activities that promote science, technology, engineering and mathematics (STEM). Our employees are actively involved in programs such as the ACE Mentor Program, the FES K-12 outreach committee, and MATHCOUNTS© and Taylor Engineering is a proud sponsor of the Race for Relevance, an annual fundraising event to support scholarships for high school and college-level students. 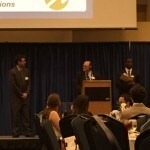 Taylor Engineering is proud to be able to help aspiring engineers reach their education goals by offering a scholarship through the University of North Florida. Congratulations to William Mele, Taylor Engineering’s 2016 scholarship recipient. 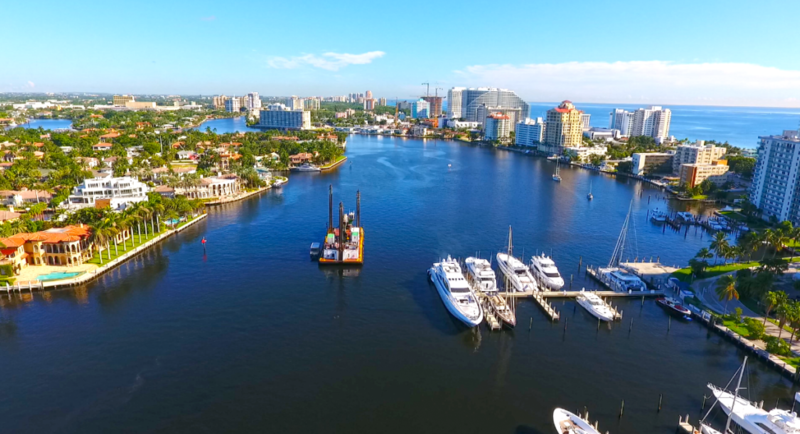 WEDA’s 2018 Environmental Excellence Award for Navigation Dredging was granted to the project team for the Florida Inland Navigation District Intracoastal Waterway Deepening in Fort Lauderdale, Broward County, Florida. The project team members were the Florida Inland Navigation District, Taylor Engineering, Inc., and Cashman Dredging and Marine Contracting Company, LLC. Taylor Engineering designed and provided construction administration for a Florida Inland Navigation District (FIND) project to deepen the Intracoastal Waterway (ICWW) in Fort Lauderdale from -10 feet mean low water (MLW) to -17 feet MLW, plus 2 feet of allowable over-dredging, while avoiding environmental impacts and reducing long-term maintenance requirements. The project site is part of a federally authorized 403-mile navigation channel along Florida’s east coast. In the 2.9-mile-long project area, the federally authorized project depth had become insufficient for safe navigation. However, it lies within a densely populated, highly urbanized area, where marine traffic ranges from small recreational vessels to commercial barges and super yachts. This creates a difficult work environment. The project team remained conscious of all relevant environmental, technical, regulatory and social aspects that influenced the design, permitting and construction, including developing alternatives and evaluating benefits for long-term maintenance requirements, dredged material disposal, safe off-site material transport from the dredged material management area (DMMA) and direct and indirect impacts to seagrass and hard coral as well as to marine animals. Other priorities were to cultivate effective working relationships with all stakeholders, and achieve design objectives by maximizing long-term channel design benefits, avoiding natural resource impacts, and minimizing impacts that were unavoidable. Noteworthy as well is that the project was constructed safely and efficiently, within budget and schedule. Ultimately, the project team rehabilitated the channel in such a way that it protected and preserved the ecosystem and simultaneously improved navigation safety. 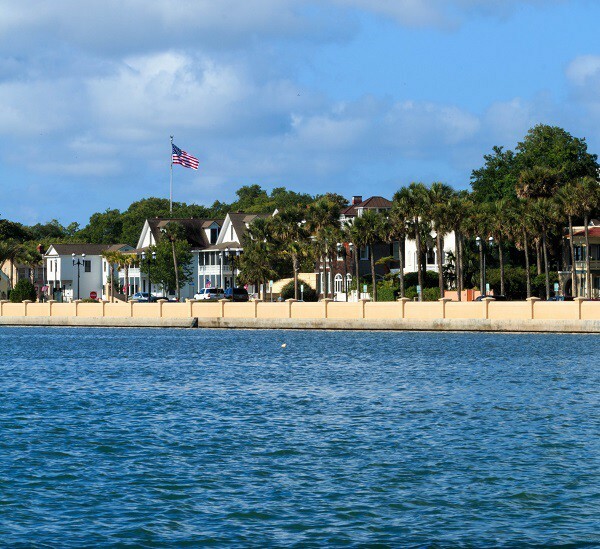 In 2015, the Avenida Menendez seawall in St. Augustine, Florida, received the American Public Works Association’s Public Works Project of the Year. Taylor Engineering led a multidisciplinary team in the design and construction of a replacement for the deteriorating Avenida Menendez seawall, a historic (+160-year-old) coquina block structure protecting the downtown St. Augustine waterfront. In 2015, the Western Destin Beach Restoration Project in Destin, Florida was selected one of the Best Restored Beaches for 2015 by the American Shore & Beach Preservation Association. Extensive beach erosion from hurricanes Ivan (2004) and Dennis (2005) prompted the Florida Department of Environmental Protection (FDEP) to approve emergency funding for design and permitting of erosion control measures along the western Destin shoreline. The resulting Western Destin Beach Restoration Project, a protective measure that reduces the risk of storm damage to upland property while providing a healthy and wide beach, increased recreational opportunities to citizens, promotes tourism and increases revenue streams to local businesses, and provides significant environmental habitat to marine, terrestrial, and avian wildlife. Completed in February 2013, the project resulted in placement of approximately 634,000 cubic yards of sand along two shoreline segments totaling over 1.2 miles. The construction template, designed to achieve pre-Hurricane Opal beach widths, advanced the MHW shoreline seaward 120 – 200 feet and provides over 50-year storm protection to upland structures. Taylor Engineering’s Dubois Park Redevelopment and Seawall Replacement Project received the prestigious National Association of County Park and Recreation Official (NACPRO) Park and Recreation Facility Class II Award. In recognizing excellence in recreation and park facilities, this award program focuses national attention on the very best of facility design. The award highlights and encourages outstanding efforts in planning, design, construction, and benefits to the community. 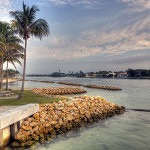 Dubois Park, one of Palm Beach County’s most popular parks, features fishing, boating, swimming, snorkeling, picnicking, and other amenities in a scenic, tropical setting. Its design incorporates many ADA-compliant features, and a water taxi service provides an alternative means to travel to this beautiful waterfront destination. 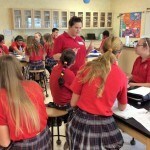 Taylor Engineering completed Phase I (feasibility and planning) and Phase II (permitting and final engineering design). Phase I involved an evaluation of existing park facilities, a natural resource survey, conceptual layouts for a day dock facility, shoreline protection, and snorkeling area configurations. During Phase II, Taylor Engineering prepared the application, secured an environmental resource permit, and prepared final engineering design drawings and specifications for all project components.